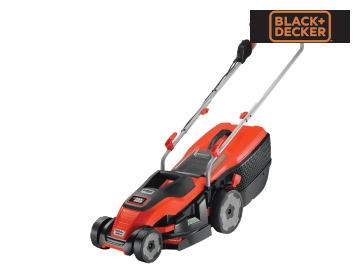 The Black and Decker EMAX Lightweight Electric Lawn Mower with EdgeMax feature for close edge cutting, with E-Drive high torque, high performance cutting system which enables stall free cutting of tall and damp grass and Compact&Go which enables 30% more grass to be collected in grass box. 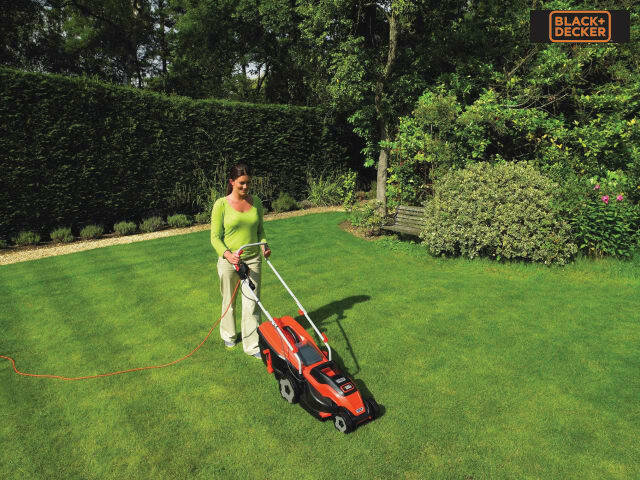 The EMAX has a low profile design that allows for improved access under shrubs and furniture whilst the integrated carry handle makes it easier to lift and move around. The ErgoSwitching design provides low fatigue switching that moulds into the hand. 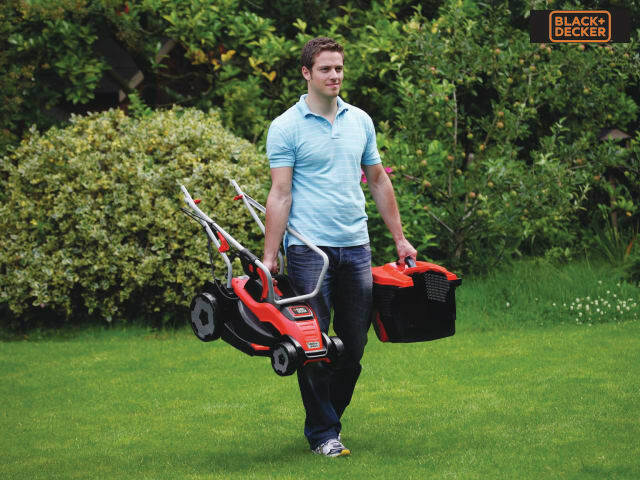 Folding handles allow for the mower to quickly fold down, reducing the footprint for easier, more compact storage. 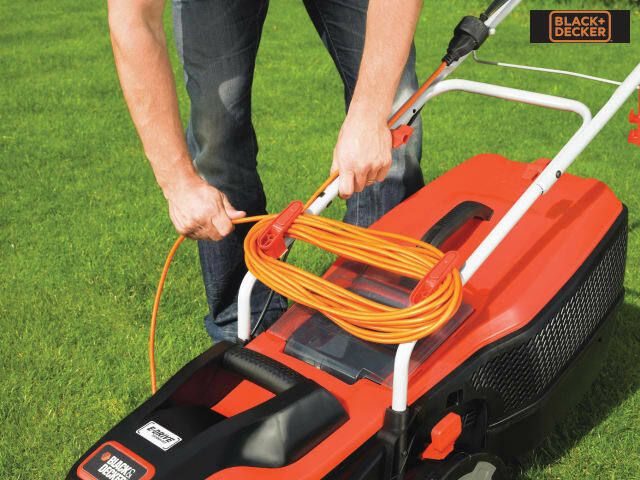 Soft touch technology allows you to adjusts the height of cut with a single movement and the intelli-cable management keeps the cord safely stored when not in use. The grassbox features a bag full window that displays how full the collection box is and when it requires emptying. 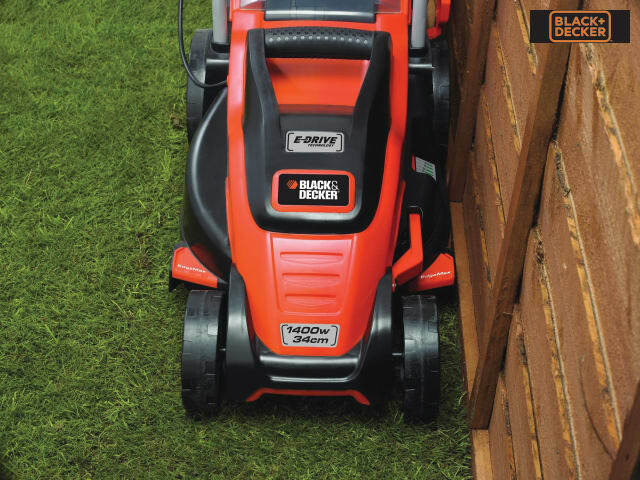 Input Power: EMAX34I: 1,400 Watt, EMAX38I: 1,600 Watt, and EMAX42I: 1,800 Watt. 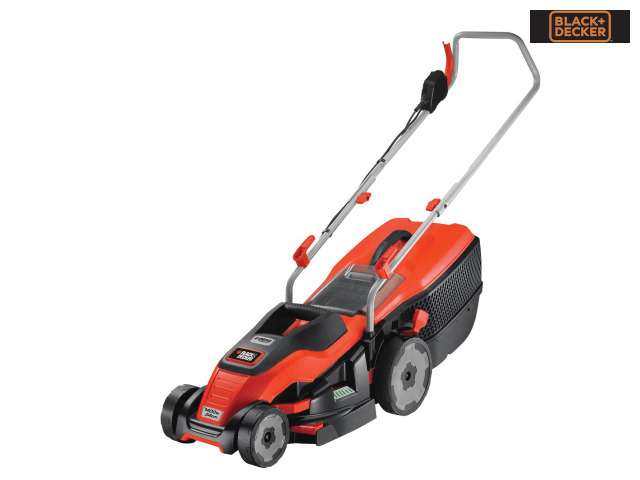 Cutting Height Adjustment: 20, 30, 40, 50, 60, 70mm.